A few weeks ago, gluten-free granola maker Bakery on Main contacted me to see if I wanted some samples. Sure, I said, but I can't promise a review. I'd seen the products in stores, liked that they're local to me (from one town over!) but had never tried them. I like regular granola, theirs looks more like cereal (it's made without oats). Turned out I was wrong, it's delicious. 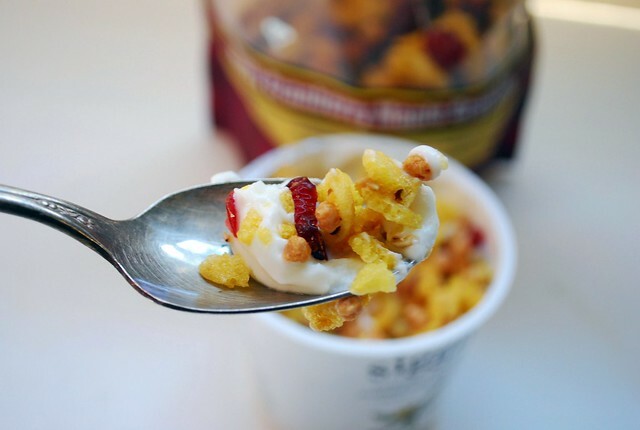 I've been eating it with Siggis yogurt, which isn't sweet at all, making a good backdrop for the sweet and crunchy granola. Yum! *Bakery on Main sent me free product, but I wrote this on my own. Siggis had nothing to do with this post. Which ones do you like best Jilly? Oh yeah I like the cranberry maple one! And all the Siggis. I really like their products--I think the Fiber Power contains GF oats. 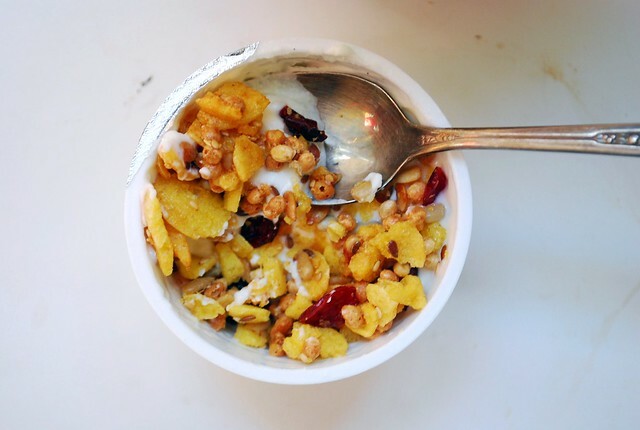 My favorite b-fast is BOM Extreme Fruit and Nut with OG raw yogurt! A-Maze-ing! Their granolas are really good!